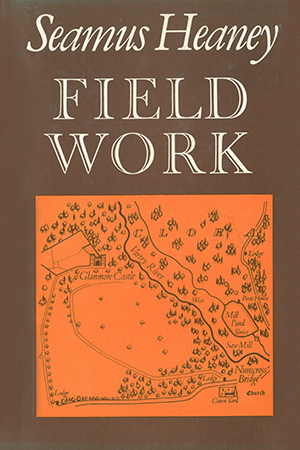 The poems published in Heaney’s 1979 volume Field Work were among the finest he would ever write. Inspired by the four years that the poet and his family spent in Glanmore Cottage in rural County Wicklow after leaving Belfast and the Troubles, it strikes a more contemplative, though no less rigorous, note. The collection contains some of his best-loved poems, such as ‘Oysters’, ‘Casualty’, ‘The Skunk’, and the defining sequence ‘Glanmore Sonnets’. It has been cited by many – including the poet’s wife, Marie – as their favourite single volume. In 2017, it was reissued as part of the Faber Modern Classics series.